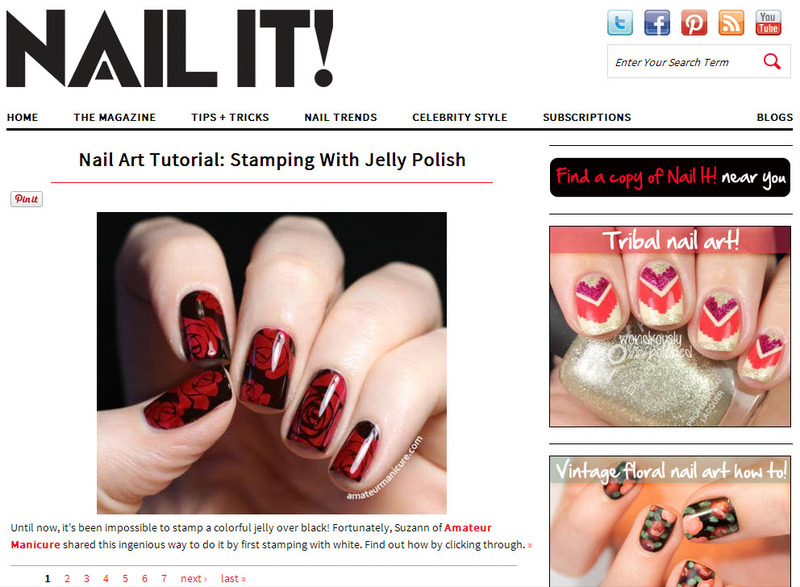 The fine folks over at Nail It! Magazine asked me to put together a tutorial for what is probably my most popular nail art so far: my "Painting the Roses Red" look from Valentine's Day. I jumped at the chance, of course, and now the tutorial is officially live on their site! Please check it out if you'd like a step-by-step look at this nail art!